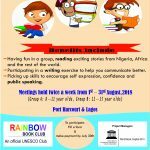 BY MRS KOKO KALANGO, REPRESENTATIVE OF PORT HARCOURT WORLD BOOK CAPITAL 2014 ON APRIL 23RD, UN WORLD BOOK AND COPYRIGHT DAY, 2015. Your Excellencies, distinguished ladies and gentlemen, on behalf of His Excellency, Right Honourable Chibuike Rotimi Amaechi, Executive Governor of Rivers State, I bring you greetings from Port Harcourt, Nigeria’s oil city and UNESCO World Book Capital City 2014. This time last year, on World Book and Copyright day, Port Harcourt assumed the title of World Book Capital City from Bangkok. This colourful ceremony was attended by your own Mr. Seun Moon from Incheon World Book Capital. 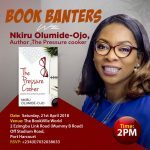 Nigeria became the World Book Capital amidst mixed feelings of joy and grief. Nine days before this historic occasion, over 200 girls were abducted from a high school in Chibok by Boko Haram, an islamist extremist group that believes western education is evil. It seemed ironical that the book was being brought to focus, against the backdrop of a retrogressive and dangerous movement directly opposed to the ideals of the World Book Capital initiative. Such tragedy, if anything, should challenge us to continue to work to rescue our society from the grip of those who stand against the progress and liberty education brings. The plight of the missing school girls was given prominence by Nigeria’s Nobel Laureate for literature, Professor Wole Soyinka, in his keynote address at the Port Harcourt World Book Capital opening ceremony where he called on the Nigerian Government to ‘bring back the pupils’. His alarm triggered off the now worldwide campaign with the slogan ‘bring back our girls’. Soyinka’s call for the return of the school girls has been echoed by thousands around the world including Malala, (the girl-child education activist), and Michelle Obama. Two days after the Chibok girls were kidnapped, 304 people, mostly students from the Danwon High School, here in South Korea lost their lives in a boat mishap when the MV Sewol sank just off your coastline. A year has gone by but the pain and agony of these tragic incidents remain with Nigeria and South Korea. Inspite of these terrible occurrences, and the many challenges of the world in which we live, the book continues to stand out, the repository of the written word, enabling mankind pass on information, and therefore knowledge, from generation to generation. Today the book has brought us together as a family, united by a shared thirst for knowledge, linked by the common desire to advance the written word for benefit of the individual, the society and our world. My team and I are excited to be in Incheon. On a personal note, it is a book that first endeared me to your dear country. About two decades ago, I read The Fourth Dimension by Paul Younggi Cho and was fascinated to learn how, through house cell fellowship groups and prayer, the Yoido Full Gospel Church grew to become known as the largest congregation in the world. Today, Nigeria is home to perhaps the worlds’ fasted growing church, the Redeemed Christian Church of God under the leadership of E.A. Adeboye. We can see that South Korea and Nigeria have a lot in common. My team and I eagerly anticipated this visit. We have looked forward to savouring the sights and sounds of Incheon. It was a delight to touch down at the world renowned Incheon International Airport. We hope that on this visit we would meet some of the great authors South Korea has produced like poet Ko Un, novelist Yi Mun-yo and women writers such as Oh Jung-Hee and Kim In-suk. We are excited to be in the home of Samsung, Hyundai and Kia, whose products are very popular in Nigeria. For Port Harcourt, our tenure as World Book Capital has been one of excitement, new discoveries and ‘possibilities’ – which was our theme for the year. We had a rich and varied array of programmes for a wide reach and maximum impact. 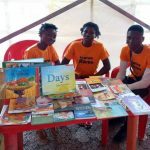 There were programmes for children and youth, arts and culture, library and community development and deliberate plans for sustainability beyond the World Book Capital year. I welcome you to the World Book Capital experience. I encourage Incheon in its vision of BOOKS FOR ALL by which you seek ‘to form an environment where all citizens may read books without difficulty and access the source of wisdom and information at any time’. I agree with the World Book Capital Selection Committee that the quality of programmes you have proposed for the year promises to have ‘impact on improving the promotion of books and reading by all stakeholders involved in the publishing sector, as well as access to printed and digital publishing for the citizens of Incheon and the Korean Peninsula…’. I have no doubt that you would achieve your goals. Today, Port Harcourt hands over to Incheon as UNESCO World Book Capital City. On behalf of the good people of Port Harcourt, Rivers State, I bring best wishes for a wonderful year ahead to the good people of Incheon, the kind River. God bless South Korea. God bless Nigeria. Thank you.